Feeling great after the 6th day on the road. Leaving Black Hawk, SD to Mt. Rushmore. 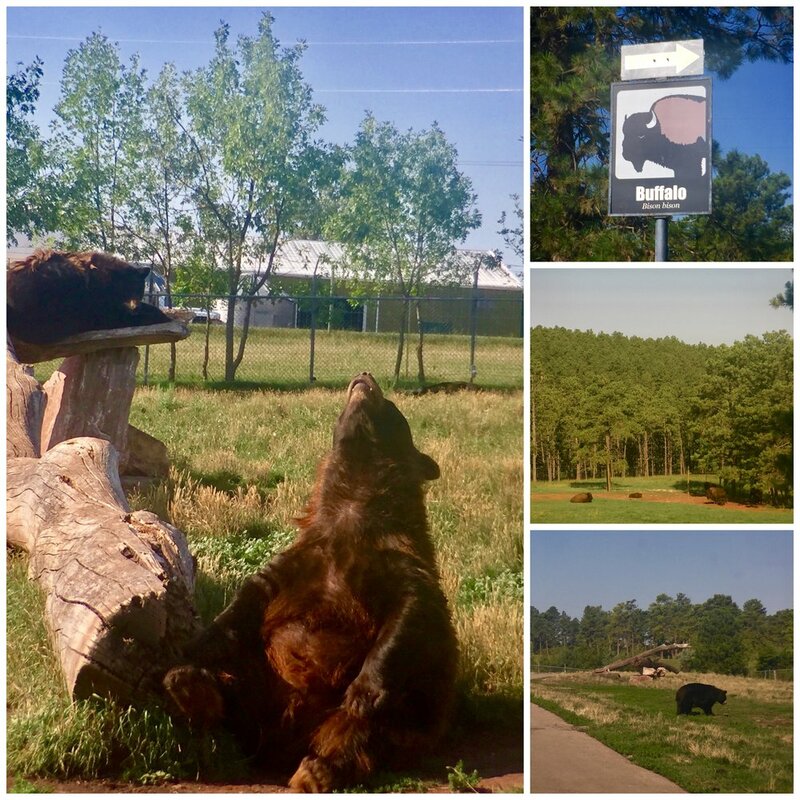 Along the way, I stopped by Bear Country USA. Since I didn't get to see any animals in Yellowstone National Park, I'll see it all in Bear Country, which I did bison, bear, reindeer, mountain lions etc..). It's a drive thru park and animals are not in a cage, even the bears. Of course, except for mountain lions. So must roll up your windows and all doors must be locked. After spending 3 hours at Bear Country I headed to Mt. Rushmore. $19 dollars for entrance admission, ouch! But it's good for protecting the park.I didn't stay long there were lots of tourists and it was getting hot and I still have 8hours drive to do before I got to my friend's parents place at Milbank.